There is a bad news. 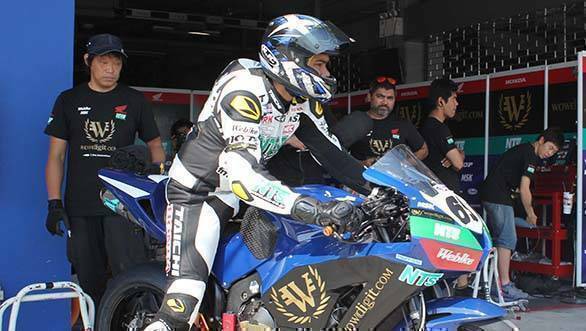 Indian racer Sarath Kumar has had to pull out of the second round of the Asian Road Racing Championship. The second round of the championship is currently going on at Buriram in Thailand. After the third free practice session of the weekend, Sarath had to pull out due to the knee injury that he sustained during the pre-season testing. The injury started acting up, and he was unable to even shift gears. The team took a decision to pull out, seeing how it was more important to have a fit Sarath back in action at the next round at Suzuka, Japan than risking aggravating the injury further. 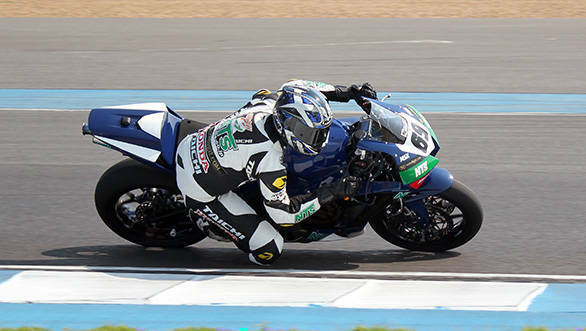 "It was most unfortunate that my debut in the 600cc class was a non-starter," said Sarath. "I was in severe pain after participating in the three free practice sessions on Friday following which we decided to skip the rest of the weekend rather than risk aggravating the injury." Ramji Govindarajan, managing director of Ten10 Racing, added, "The grid a tough one, but we as a team and manager are not putting any pressure on him to perform. We want him to recover and learn the nuances of riding a 600cc motorcycle step by step. Sarath has been working hard on it despite being in pain but was not able to ride through left corners or right to left quick transition turns. We are hoping that he would have fully recovered from the injury for the next round in Japan." The next round of the championship will happen at Suzuka in Japan on 4-5 June, 2016.